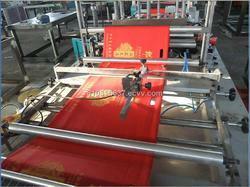 With our vast industrial experience, we have came up with a wide range of Non Woven Fabric Making Machine. Our products are made using high grade raw-material which is sourced from the authorized vendors of the market. To meet the variegated demands of our esteemed customers, this range is availed by us in various technical specifications and custom-made models. Backed by a team of dexterous professionals, we have been able to provide the customers with a remarkable assortment of Fully Automatic Rice Bag Making Machine. Made as par the quality guidelines set by the industry, these machines are used in various food processing industries to stitch rice bags. 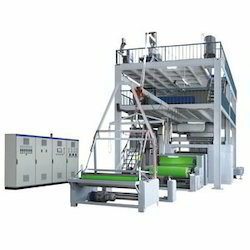 Moreover, we are availing the robust machines in various technical specifications to offered variegated choosing options to our clients. Looking for Bag Making Machines ?